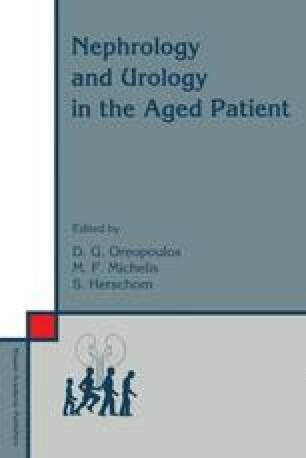 The goals of investigation and therapy of urinary infection in the elderly individual must be clear prior to the institution of management. Short-term goals are to ameliorate symptoms and prevent complications including sepsis and death, or other potential manifestations such as impaired diabetic control. In addition, one should identify underlying abnormalities that could impair renal function or lead to a poor outcome. Long-term goals are to prevent such complications as renal failure or the formation of infection stones with their sequelae. The extent to which urinary infection may contribute to these complications determines the need and urgency of evaluation and treatment. We have little evidence that urinary infection by itself contributes substantially to long-term complications. Thus, the major goals of evaluation and therapy of urinary infection in the elderly is to prevent such short-term complications.